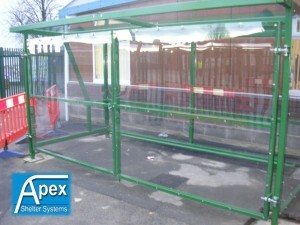 The Theta style of pram shelter offers a practical and stylish solution for the external storage of prams and buggies. There are a range of options available for the pram shelter to suit a variety of budgets. 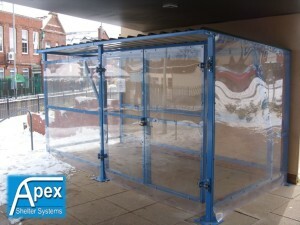 Additional features available include a locking rail to secure the prams/buggies, lockable gates for additional security, end panels and back panels for extra weather protection. 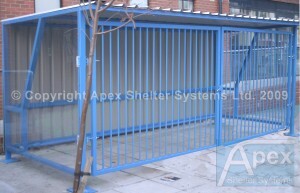 Construction: Shelters can be linked to form continuous runs.